The annual SPUC Youth Conference has been very successful in recent years in educating and motivating the youth of today to engage in peaceful and effective pro-life work all over the UK. The youth conference is also open to attendees from other countries. Young people from Spain and Malta have been welcomed in recent years. This year's conference will run from Friday 6 March (late afternoon) until Sunday 8 March 2015 (after lunch), at the Ramada Plaza Hotel in Southport (near Liverpool). The price is £100, including all meals and accommodation. The conference is open to those from the age of 16 to 35. 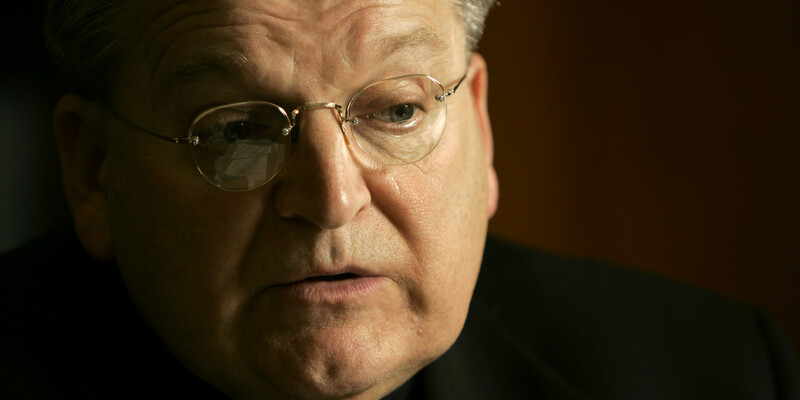 Our speakers will include His Eminence Raymond Leo Cardinal Burke, who has been very outspoken in defence of human life and the family; and Obianuju (Uju) Ekeocha, founder of Culture of Life Africa. Uju travels all over the world promoting the defence of human life in Africa, which is under huge pressure to cede to the Western practices of abortion and contraception. Other speakers will include Ira Winter on the subject of NFP, Margaret Cuthill of Abortion Recovery Care and Helpline (ARCH), a post-abortion counsellor and Janet Secluna Thomas of No Less Human, who worked alongside the late Alison Davis for many years and whose workshop will focus on how we talk about disability. Also speaking will be Margaret Cuthill of Abortion Recovery Care and Helpline (ARCH), a post-abortion counsellor. SPUC’s Fiorella Nash and Paul Tully will also be speaking and sharing their expert knowledge. Fiorella specialises in pro-life feminism, international surrogacy, abortion in China and maternal mortality. Paul Tully, SPUC’s general secretary, is an expert in legal and parliamentary policy surrounding pro-life issues. Full conference programme coming soon. It is vital that the youth of today attend this conference to equip themselves with the knowledge needed to go out and carry out pro-life work in our schools, universities, homes and communities. This is the starting point from which we branch out and achieve the goal of defending and promoting the sanctity of human life. It is an opportunity that is not be missed! Entertainment will include a Friday evening quiz and film, Saturday evening ceilidh, and drinks in the bar (over 18s only) on Friday and Saturday evening. 3. Post it with the conference fee enclosed to: Youth Conference, SPUC, 3 Whitacre Mews, Stannary Street, London, SE11 4AB. If you have a query about the conference please contact Rhoslyn Thomas by email to conference@spuc.org.uk or by telephone to 020 7820 3140. To subscribe to SPUC's email information services, please visit www.spuc.org.uk/em-signup. The reliability of the news herein is dependent on that of the cited sources, which are paraphrased rather than quoted. Opinions expressed are not necessarily those of the society. © Society for the Protection of Unborn Children, 2015"
God bless the work. SPUC is a great organisation. It was SPUC that showed the film of the killing of a baby in utero, from within the womb, The Silent Scream, that I watched at a Prolife meeting about 35 years ago. I could not understand how this brutal, deliberate murder was "legal" in so many countries, and carried out systematically on an industrial scale, by doctors, purporting to be practising medicine in their doing so. How sin darkens the intellect and hardens the heart! Laurence, you're not aged between 16 and 35, are you??! God Bless you for the work you do. If you have time and you had not yet seen this, could you please sign it and may divulge it?